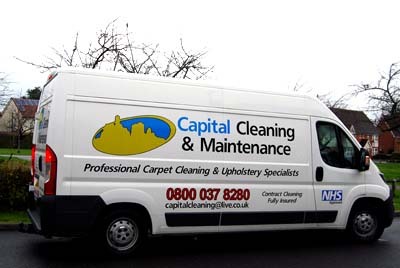 Capital Cleaning Services and Maintenance offers Carpet Cleaning and Upholstery Cleaning in Kent, in fact all types of cleaning for domestic and commercial customers, with top of the range machines for every type of cleaning inside or outside your property or business throughout London and the South-East. Commercial contract cleaning quotations available on request for offices, factories, nightclubs, all contracts considered. Capital Cleaning also offer End of Tenancy Cleans. New this year, Pet Poop Services is on the menu including Poop Scoop and Brown Spot Treatment, Animal Housing Cleaning (think kennels, aviaries, runs, coops and hutches) and Holiday Cleans. Inside your property or business, Capital Cleaning Services offer Carpet Cleaning, Upholstery and Soft Furnishings Cleaning, Hard Floor Cleaning, Oven and Extractor Cleaning, you name it they have a machine for it! For the outside of your property, Capital Cleaning offer high-powered Jet Washing for patios, pathways, driveways or the exterior of your property and high reach Window Cleaning for windows, patio and french doors and conservatories. Capital Cleaning Services offer Commercial Contract Cleaning for businesses from offices, factories and restaurants to pubs and nightclubs. Get in touch >>> for a no obligation quotation for your business, all contracts considered. 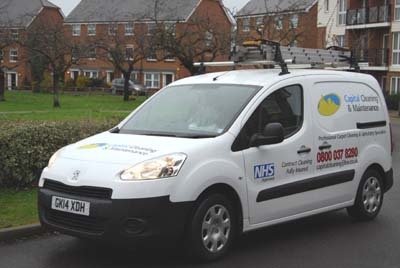 Capital Cleaning also offer End of Tenancy Cleans for landlords. New this year Capital Cleaning also offer Pet Poop Services, that's Poop Scoop and Brown Spot Treatment, a cleaning service for your animal housing, kennels, hutches, coops, aviaries and runs and Holiday Cleans for your pets while you're away.